So spring is finally here, lighter evenings and longer days. 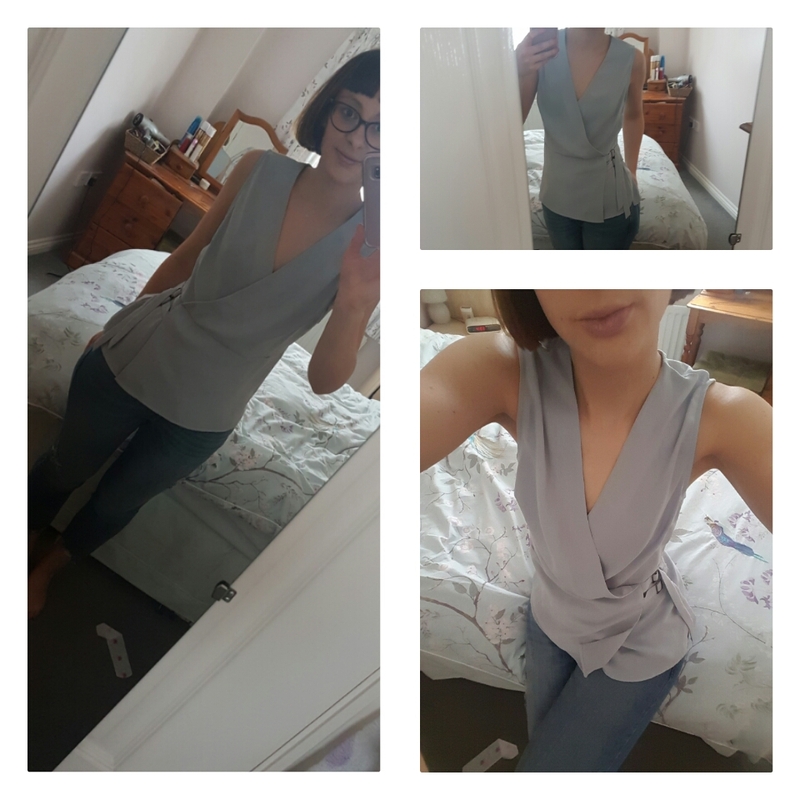 So I though I would do a post about my spring wardrobe on a budget. As im saving I don’t like to spend very much on clothes but still want to feel like to have a fresh wardrobe. So heres my spring look on a budget. 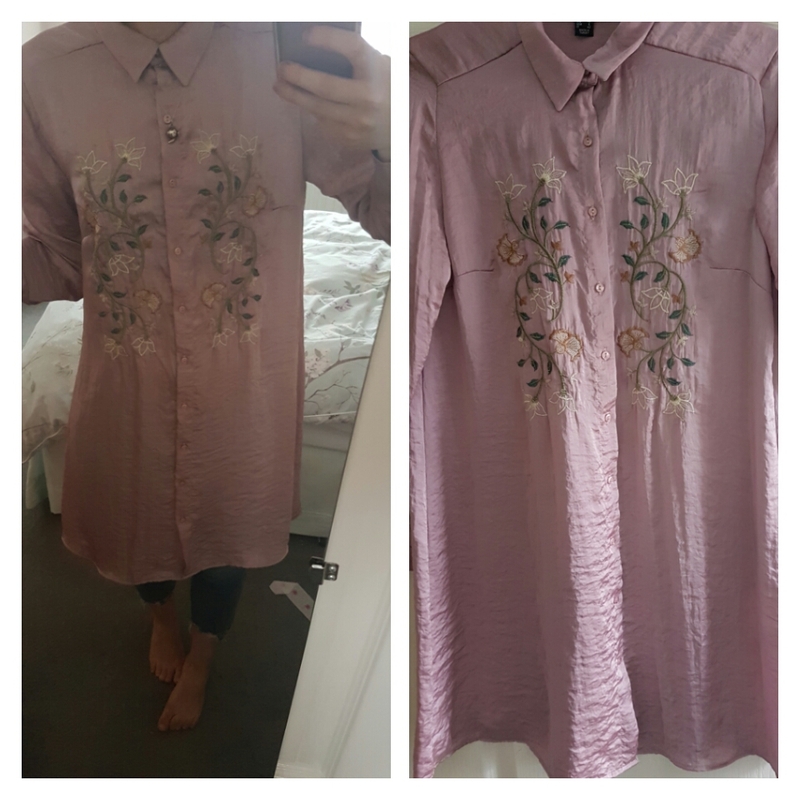 Oversized silk feel shirt with embroidery which I really am loving at minute, anything embroidered is good with me. You can wear by itself or with jeans or tights. 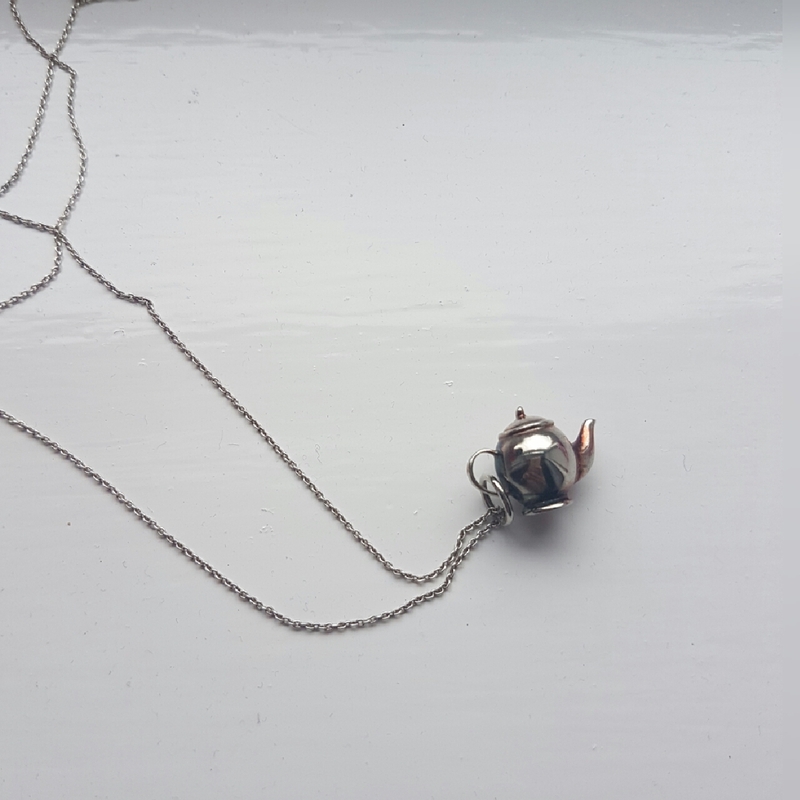 I’m also wearing my favourite necklace which I got for my birthday a few years ago but I think its a classic and goes with most outfits. I got a size 10. I really like this shirt it can be dressed down or you could team with black jeans and heels for a evening look. The jeans that I’m wearing are skinny straight cut, they are so comfortable and fit perfectly. They are also cut above the ankle and I quite like teaming them up with some ankle boots or just trainers. Shirt I got a size 10. Jeans size 10. 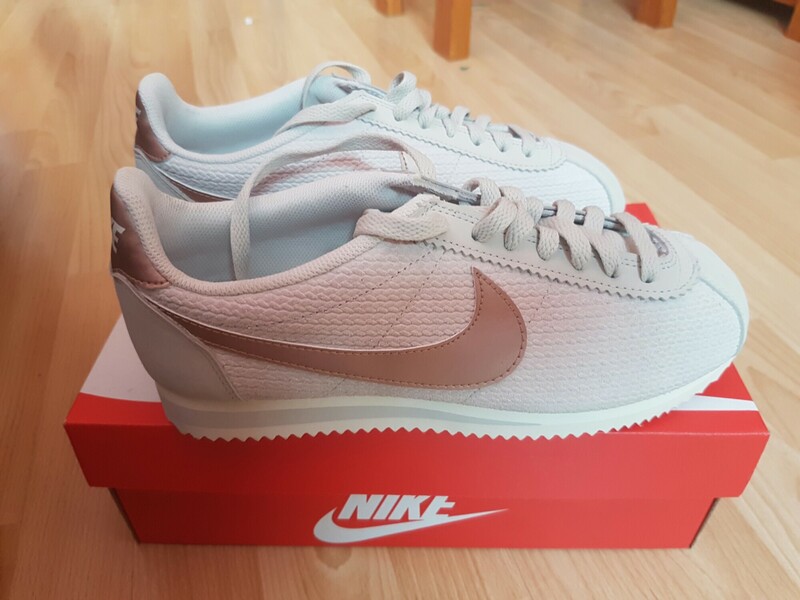 I got these trainers for Christmas and ive been waiting till spring to wear them. Size 6. 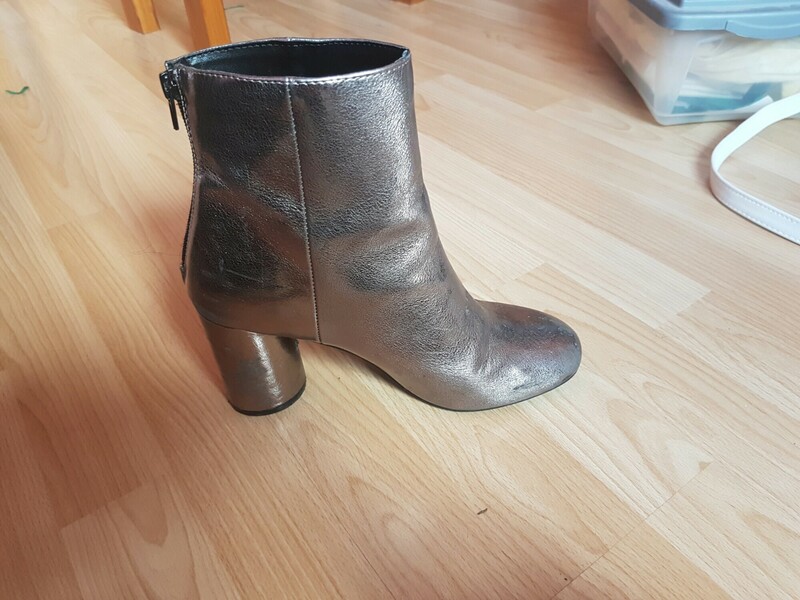 I love these metallic boots, I wish I could wear them all the time! I got a Size 6. 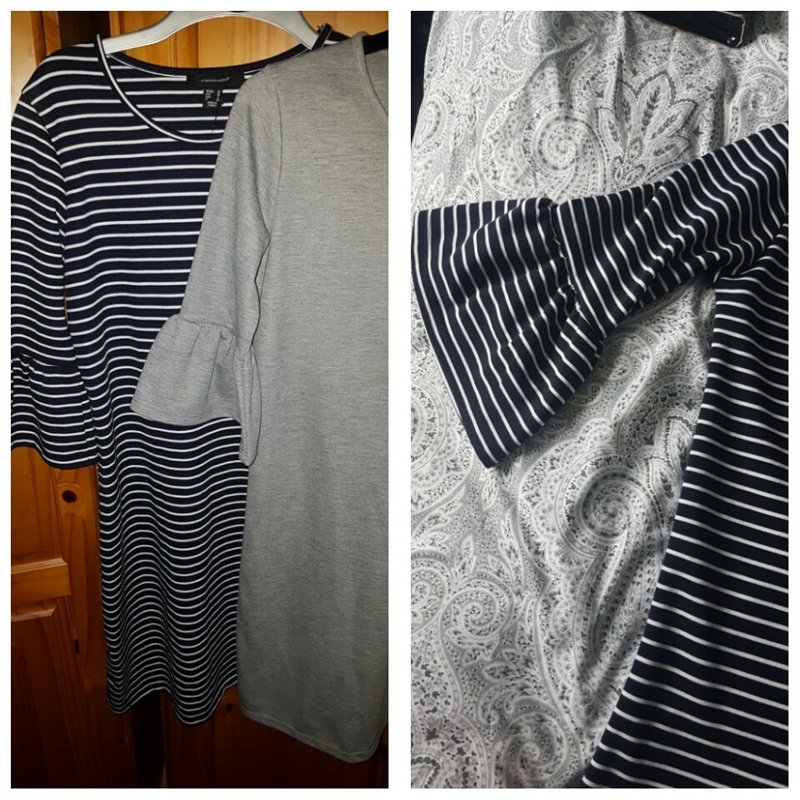 These cute dresses with bell sleeves are such a bargain and both fit really well. I got both in a size 10.